Our party will start in the afternoon, hopefully on a glorious July weekend, rather than a melting one. We will invite a crowd of both boys and girls. I know teens are most likely going to be cell phone zombies most of the time, but I figure if I feed them enough sugar and have enough temptation strewn about the place, they might get off their butts and have some fun. A couple special friends will arrive a little early and sleep over. We will use glow-in-the dark puff paint ($2 a bottle at my Walmart or see it on Amazon) to decorate white tshirts. 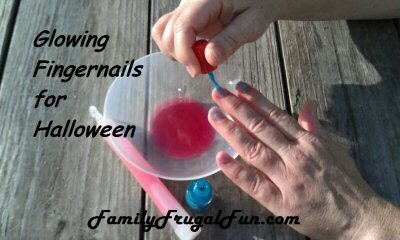 We also plan to mix nail polish and a glow stick to make glowing nails (instructions on Family Frugal Fun), but you can’t do this early (the glow fades over time as usual) so we’ll see if they want to do this with the boys around. We will set up the laptop outside so they can listen to fun music on Pandora outside. Of course we will have water balloons. 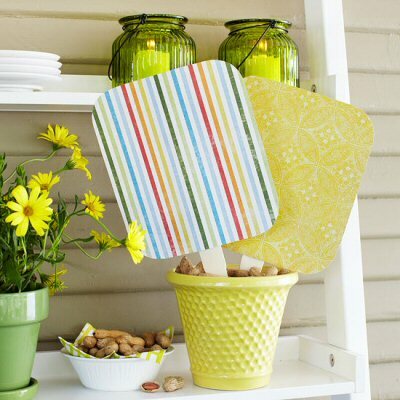 Early on we will have fans made from cardstock or posterboard and craft sticks. I will use neon paper and probably cut out black Batman symbols (and surprise her, she wants to be Batman when she grows up). These will be out in the middle of the day to help beat the heat. 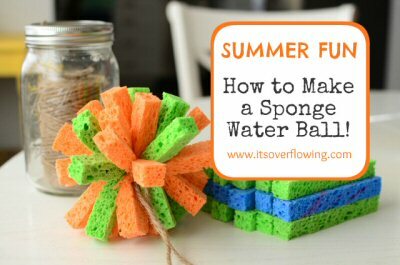 We will make sponge balls to help cool off. 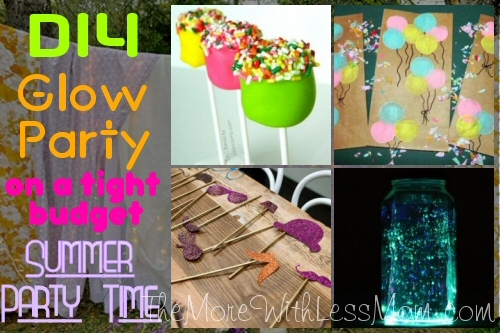 If I can make enough glow water (with glow stick innards) to fill the kiddie pool we can even have a nighttime glow sponge-ball fight. How do you keep guests comfortable for those summer fun parties?